As we reach the final stretch of 2017, we thought it would be a good time to reflect. Looking back at all the rings we shared on Facebook this year, we made a list of our top 10 most popular engagement rings of 2017. Keep reading below to learn more about each of these rings in part 1 of our best engagement rings round up! Our top 10 list was generated by our followers on Facebook. First on the list is the Adiamor French cut cushion halo engagement ring. 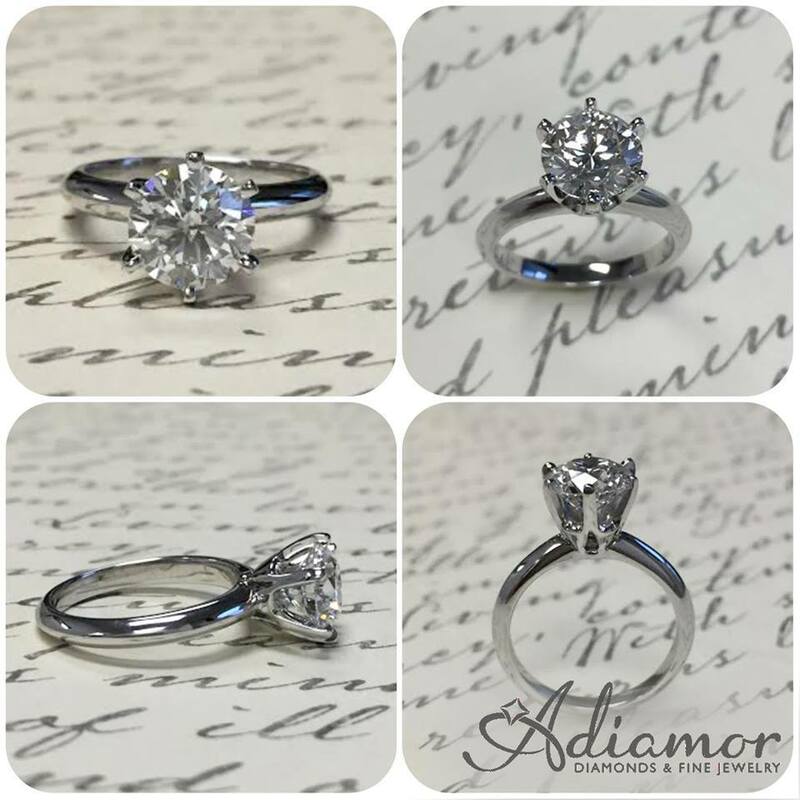 This particular platinum version is shown with a 1 carat cushion cut diamond center stone. Click here to view more photos of R2940. 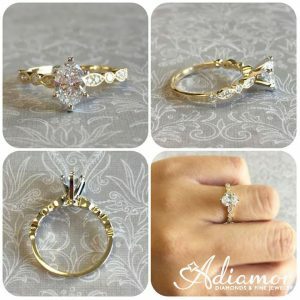 At #9 we have our Adiamor vintage leaf diamond engagement ring. Available in multiple ring metals, it is shown here in yellow gold. This ring looks great with many types of diamond shapes, but it is pictured with a 0.75ct oval cut diamond center stone. Check out more photos of R2994 here. 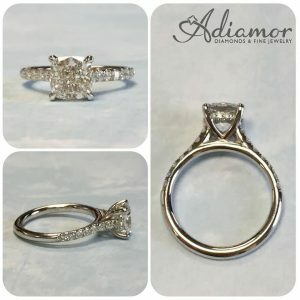 Coming in as the 8th most popular ring is the Adiamor 2mm French Cut Basket engagement setting. 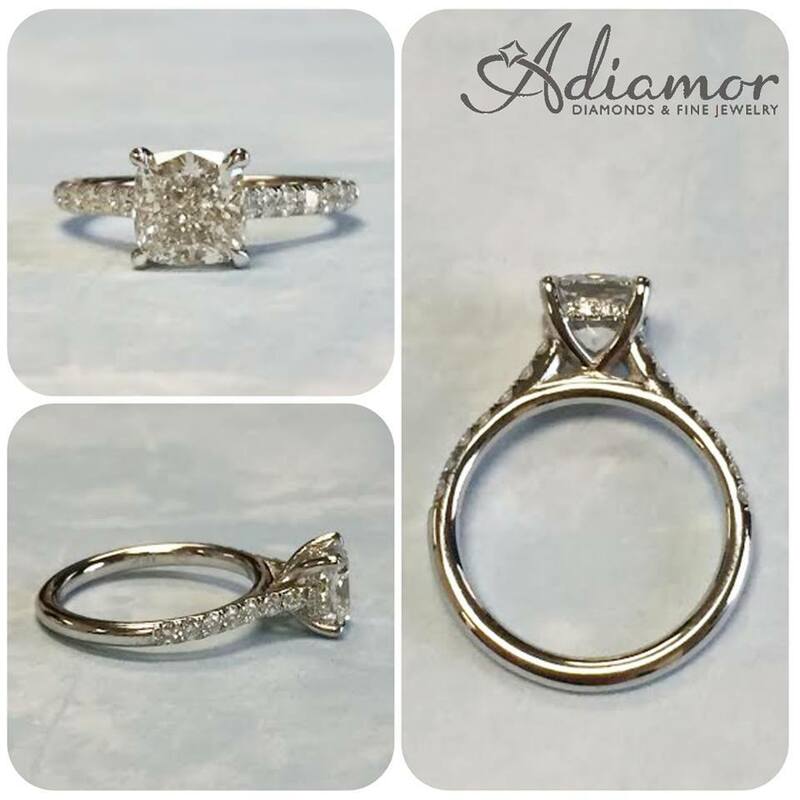 This pave engagement ring is perfectly proportioned with a 2mm band. Also, the ring is shown with a 1.5 carat round cut center diamond. View more photos of R3071 here. 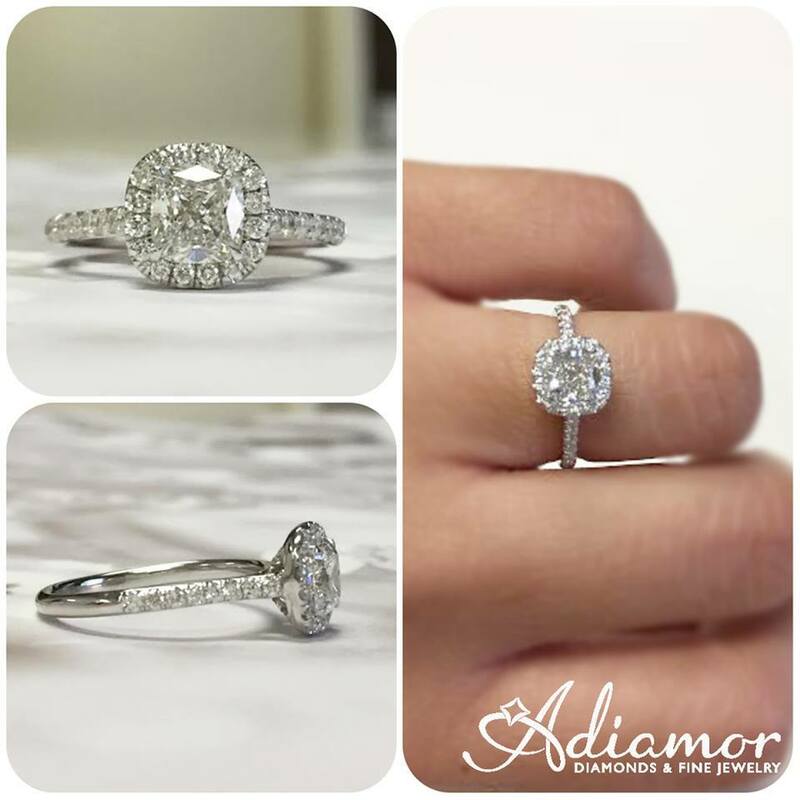 Our perfect solitaire is classic and elegant, making it the perfectly placed at number 7 on the list! 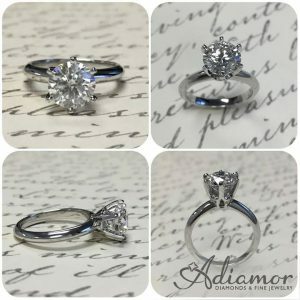 One of our all time favorites, it is shown here with a 1.60 ct round cut center stone. The band is slightly knife edged, and the basket is perfectly scalloped. Learn more about R3099 here. Check back later this week for Part 2 of our Best Engagement Rings of 2017!